Earlier this year, Roku announced that it had its eyes on the smart TV market and would soon be shipping devices running Roku OS supported by partnerships with Hisense and TCL. The smart TVs are equipped with much of the same features found on the Roku 3 streaming box and will finally release starting next month. Users will be able to access over 1,500 channels from the new TVs including everything from Netflix and Amazon to Hulu, Pandora, HBO Go, Vevo and many others. As opposed to the included Roku remotes that come with the company's popular streaming boxes, the Hisense and TCL TVs come with their own remotes featuring quick keys to Netflix, Amazon, Rdio and others. The included remotes were initially positioned as a simple take on existing options with only 20 buttons, removing an unnecessary controls. 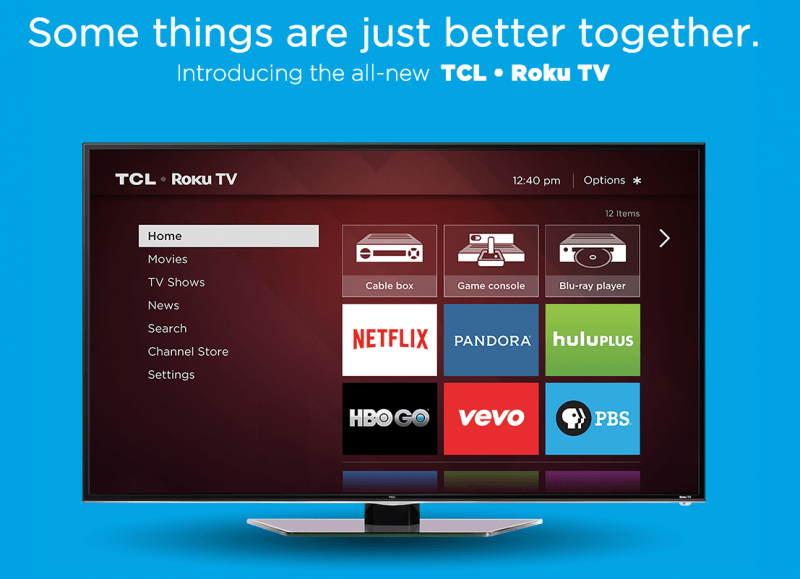 Along with the remotes, Roku's already available iOS and Android apps integrate with the TVs as well. Users can both stream content from mobile devices but also use smartphones and tablets as controllers for the new smart TVs.